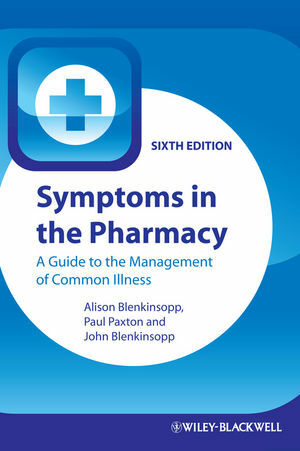 Symptoms in the Pharmacy is an indispensable guide to the management of common symptoms seen in the pharmacy. With advice from an author team that includes both pharmacists and GPs, the book covers ailments which will be encountered in the pharmacy on a daily basis. Now in its sixth edition Symptoms in the Pharmacy has been fully revised to reflect the latest evidence and availability of new medicines. There are new sections and case studies for 'POM' to 'P' switches including chloramphenicol, sumatriptan, diclofenac, naproxen and amorolfine. This edition features colour photographs of skin conditions for the first time enabling the differentiation and diagnosis of common complaints. The public health and illness prevention content have been expanded to support this increasingly important aspect of the pharmacist’s work. The book is designed for quick and easy reference with separate chapters for each ailment. Each chapter incorporates a decision making framework in which the information necessary for treatment and suggestions on ‘when to refer’ is distilled into helpful summary boxes. At the end of each chapter there are example case studies providing the view of pharmacists, doctors and patients for most conditions covered. These easy-to-follow- chapters can be read cover to cover or turned to for quick reference. This useful guide should be kept close at hand for frequent consultation. Respiratory symptoms for direct referral. Motion sickness and its prevention. Eye problems: the painful red eye. Appendix: Summary of Symptoms for Direct Referral.